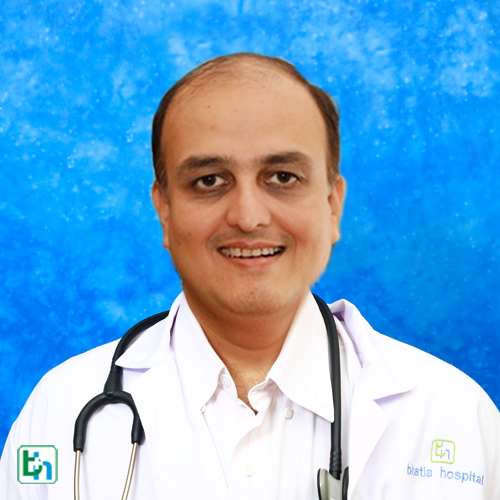 Dr Pratit Samdani is renowned in the field of General Medicine with Vast experience of 15 years. One of the youngest enthusiastic Teachers for MD Medicine, DNB Medicine and Fellow of the College of Physicians and as Surgeons. Have been invited as Inspector for Courses and Examiner for both undergraduate and post graduate courses in the country. Have been consistently doing Research and Clinical Studies for the past decade in Diabetes, Hypertension & Infectious Diseases by conducting several National and International studies . Member of Governing Council of the College of Physicians and Surgeons, India(2011-12). Chief Investigator for a Study on “Efficacy of S-Metoprolol in Hypertension, Angina and Heart Failure,” in February, 2006. Presented with the Award of `Excellence in Medicine in 2012’ in New Delhi.